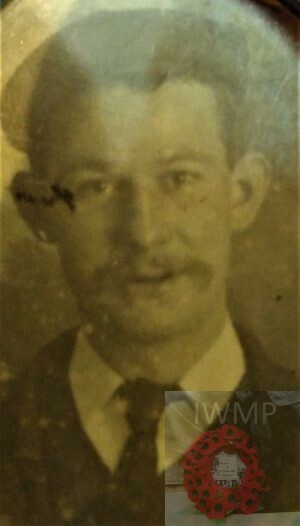 Died: 16th February 1916; age 33; Ipswich – Served 13 years & 17 days. Enlistment Details: Location: Ipswich; Date: 9th October 1902; Age: 19 years & 8 months; Occupation: Shoemaker; Religion: CofE. Height: 5ft 11 ins, fresh complexion, brown eyes & brown hair. Tattoos- cross & anchor on left forearm. Discharged: Gosport – 25th October 1915. Regiment: Royal Garrison Artillery, 6th Division, Ammunition Column. Relatives Notified & Address: Son of Mrs Eliza Jane Dutton, of 82, Rope Walk, St. Clement’s, Ipswich. 1891 4, Queen’s Court, Albert Street, Ipswich. William was 8 years old and living with his widowed mother & sister. Eliza Jane Dutton (nee Fuller), 25, a Staymaker, born Ipswich. Eliza Jane Dutton, 3, born Ipswich. 1901 40, Rope Walk, Ipswich. William was 18 years old, a Boot Finisher. He was living with his widowed mother & sister. Eliza, 35, a Stay Machinist. 1911 82, Rope Walk, Ipswich. William was 28 years old, a Dock Labourer. He was living with his widowed mother & sister. Eliza, 45, a Sewing Machinist – Tailoring. Eliza, 23, a Sewing Machinist – Tailoring. William’s father was William Dutton, born 1853 – died 1889, Ipswich. Eliza Jane Dutton received her late son’s 14 Star on the 6th October 1921. 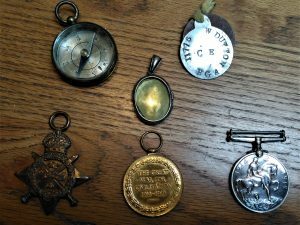 The British War medal on the 19th January 1921 & the Victory medal on the 5th April 1921.